BGO nabbed another Messier for me. 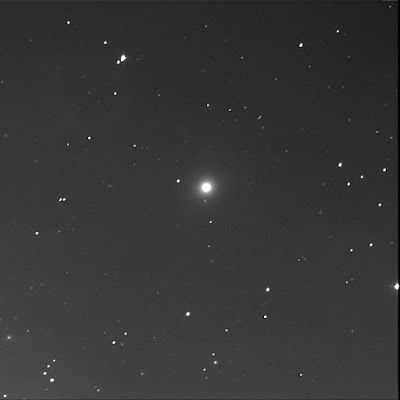 I had viewed M89 aka NGC 4552 once before. It lies in Virgo. Messier 89 is an intense elliptical. The core is incredibly bright and big. I'm no good at FITS Liberator and can't seem to draw out the edges for the galaxy. It looks nearly circular. First viewed this target on 4 May '13.